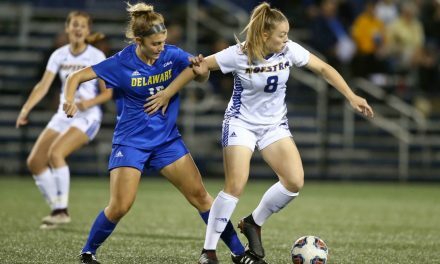 PALO ALTO, Calif. – The Hofstra University women resume NCAA Division I tournament play when it takes on 23rd-ranked the University of Wisconsin in the second round at Stanford University’s Cagan Stadium Friday at 4:35 p.m. ET. The Pride (16-5-1) advanced to the second round for the fourth time in with a 4-1 win at No. 22 and fourth-seeded Boston College Friday. 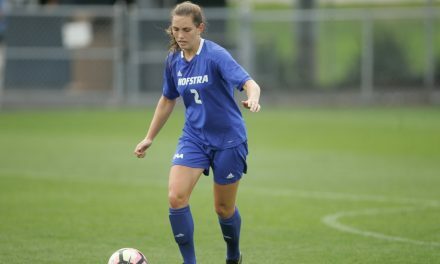 Sabrina Bryan scored twice and Lucy Porter had a goal and an assist as Hofstra opened a 3-0 lead. After a BC goal, Lucy Shepherd closed out the scoring. Jenn Buoncore added to her season record assist total with her 14th and Jordan Littleboy also recorded an assist. Goalkeepers Jenna Borresen and Ashley Wilson combined for seven saves. The Badgers (13-3-4) advanced to the second round with a 3-0 win over Memphis in the first round. Dani Rhodes, Maia Cella and Cameron Murtha scored goals and keeper Jordyn Bloomer made six saves. Wisconsin also is making its fourth NCAA second round appearance and its third in a row. The Badgers are 0-3 in its appearances. Hofstra and Wisconsin will meet for the first time. The winner of Friday’s game will advance to the third round Sunday and play the winner of the No. 1 Stanford-Ole Miss matchup at 4:35 p.m. ET. The game will be streamed live, and live stats will also be offered. 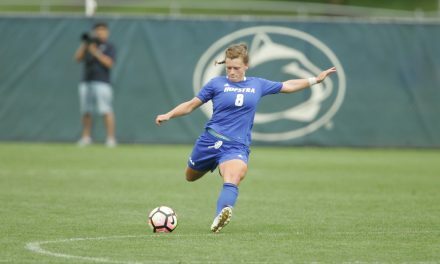 Links for both are available above or on the women’s soccer schedule page on GoHofstra.com.